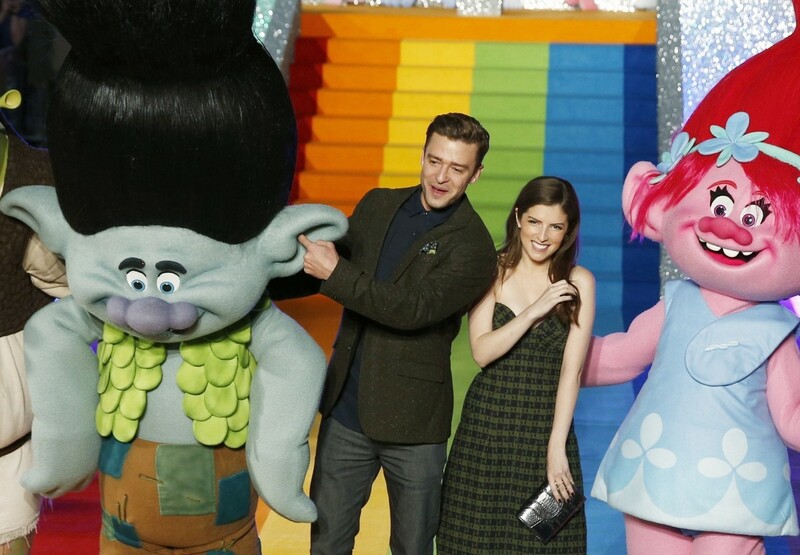 “Pitch Perfect” actress Anna Kendrick sings to life one of the most beloved toy figures in the latest musical animation “Trolls,” starring alongside an ensemble of equally talented artists such as Justin Timberlake, James Corden, Gwen Stefani, Zooey Deschanel, Russell Brand, Christine Baranski, Christopher Mintz-Plasse, Swedish pop music duo of Caroline Hjelt and Aino Jawo, Kunal Nayyar and Ron Funches. 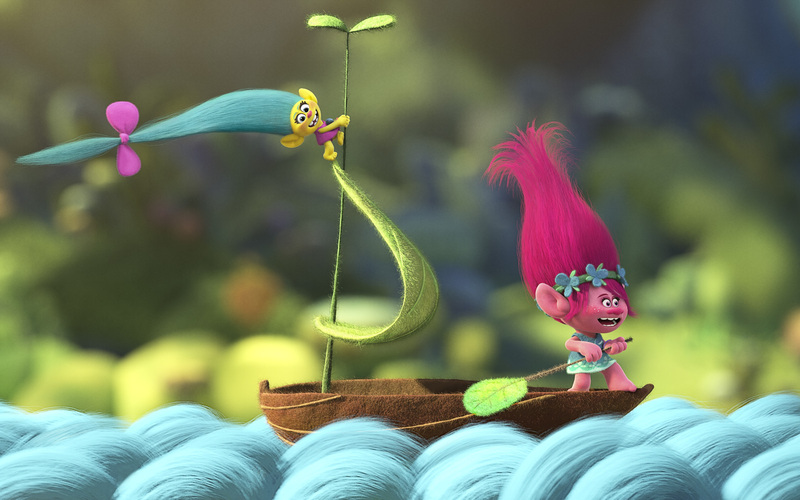 Kendrick is the voice of Poppy, the feisty and fearless leader of the Trolls, who are naturally cheerful and optimistic. They love to sing and dance, and they have rainbow-colored hair. Justin Timberlake voices Branch, a gray and fearful troll. He is convinced that the Trolls’ mortal enemies, the Bergens, will track them down in their forest Utopia and capture them. The Bergens are miserable monsters and they are only happy when they eat Trolls. The film was inspired by the quirky cute/ugly looking dolls with brightly colored hair that were invented by a Danish woodcutter in 1959. Created by woodcutter Thomas Damm, who then couldn’t afford a Christmas gift for his daughter, was inspired to make a doll based from his imagination. The unique look of the doll caught the attention of the other children and from then on, Damm’s dolls became popular and has become one of the biggest toy fads among children and adults too. In the latest toy-to-movie adaptation of “Trolls” where Kendrick’s character Poppy lives, the audience will be introduced to a stunning and original world, with a distinct hand-made look, which mirrors Poppy’s passion for scrapbooking. 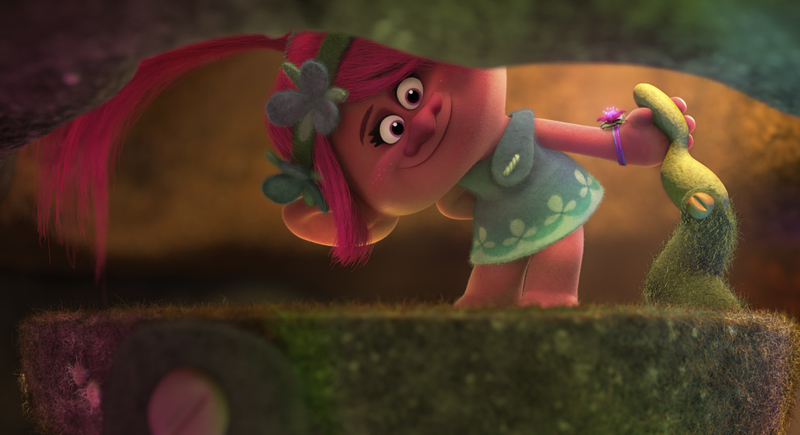 When the filmmakers assured Kendrick that her vision for Poppy was in sync with theirs, she embraced her inner Troll with a vengeance. “Each time I stepped into the recording booth and was greeted with a picture of Poppy’s smiling face, I couldn’t wait to add some fire, sarcasm, sass and determination to her,” Kendrick recalls. “That’s what makes the difference between a relentlessly happy character that’s a little irritating and one that really comes to life. After viewing some early footage, Kendrick discovered even more unexpected aspects to the character, thanks, she says, to the “animation dream team at DreamWorks, which had captured the little firecracker inside Poppy with every minute expression. 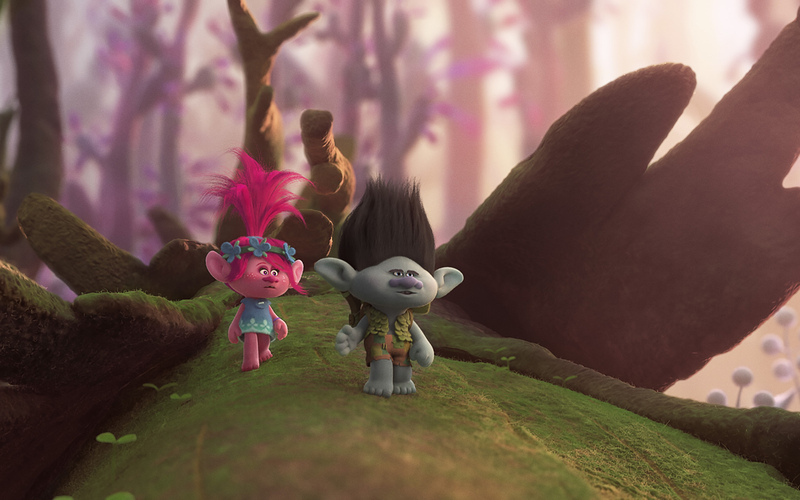 A DreamWorks Animation feature, “Trolls” opens in cinemas on November 2 in cinemas nationwide (also in 3D) from 20th Century Fox to be distributed by Warner Bros.